When your nose is blocked because of sinusitis, it can feel like your whole day has been ruined. 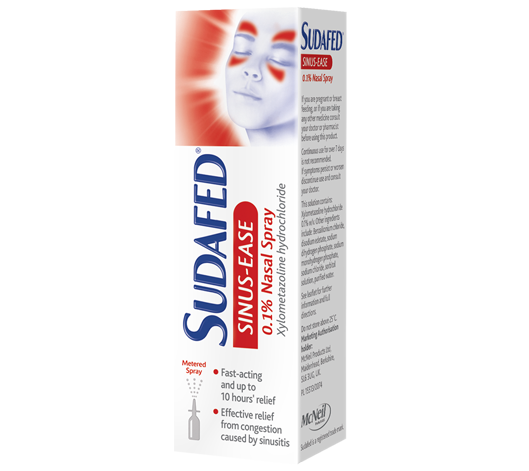 SUDAFED® Sinus Ease 0.1% Nasal Spray is here to help, targeting sinus congestion when sprayed directly into your nose, to help you breathe more easily. Clinically proven to relieve congestion within minutes, just one application can last for up to 10 hours – so you can get back to your daily routine. 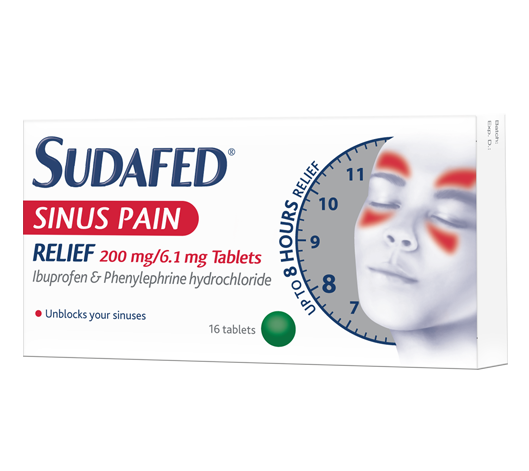 SUDAFED® Sinus Pain Relief Tablets get to work in just 15 minutes and offers up to 8 hours’ relief from painful sinus congestion symptoms. Nothing is stronger for sinus pain in this ingredient combination (phenylephrine/ibuprofen), for easing congestion and reducing inflammation and pain, helping to ease breathing through your nose. These maximum strength capsules get to the root cause of congested sinuses by relieving sinus pressure, pain and tension effectively. 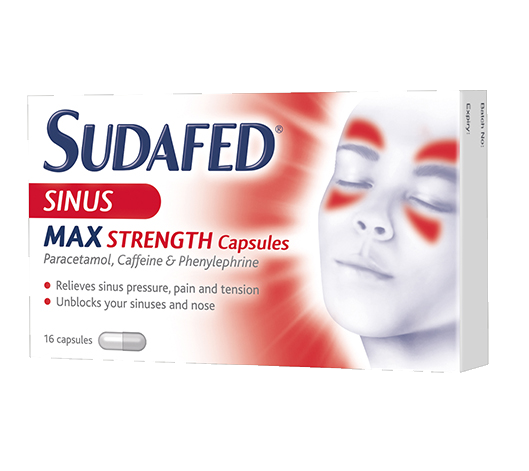 SUDAFED® Sinus Max Strength Capsules can be used to relieve symptoms including headaches, fevers, aches and pains and a stuffy nose. 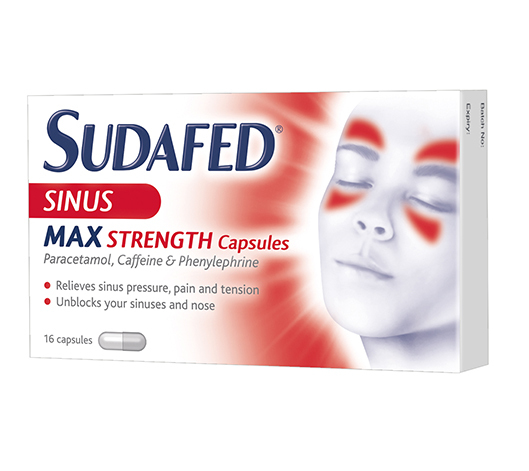 SUDAFED® Sinus Pressure & Pain Tablets can offer you relief from the unpleasant, painful symptoms of sinus congestion. These tablets reduce inflammation and provide pain relief, as well as fighting the headaches, fever and discomfort that often accompany sinus congestion. ALWAYS READ THE LABEL.SUDAFED® Sinus Pain Relief Tablets contain phenylephrine and ibuprofen. 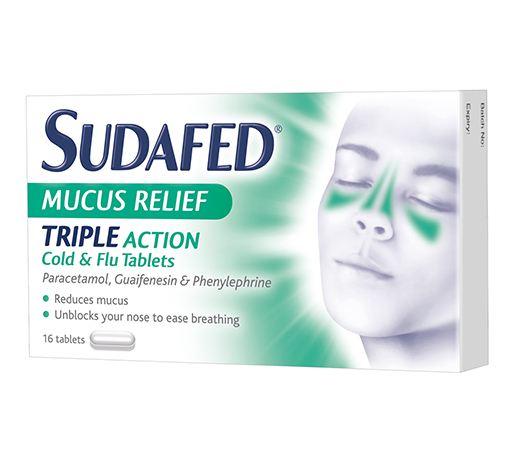 SUDAFED® Decongestant Liquid & SUDAFED® Decongestant Tablets contain pseudoephedrine. 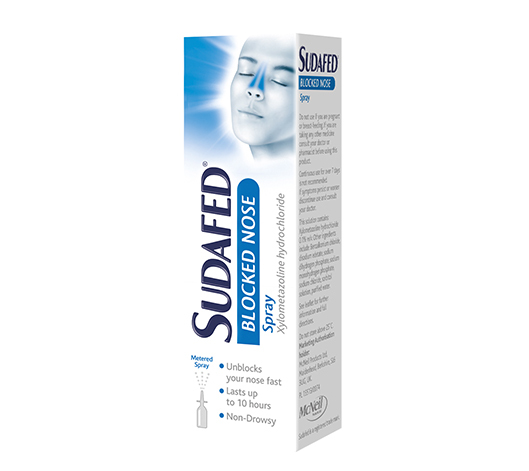 SUDAFED® Blocked Nose Capsules contain phenylephrine. 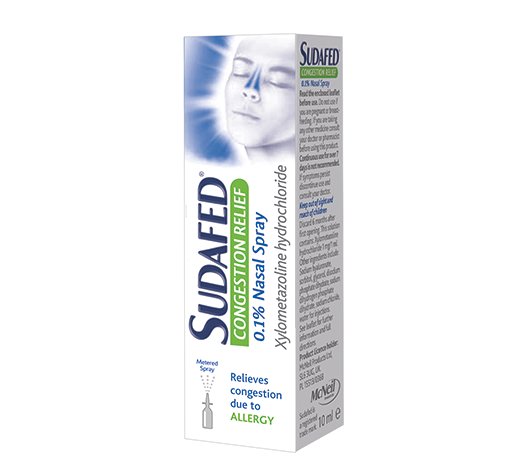 SUDAFED® Blocked Nose Spray,SUDAFED® Sinus Ease 0.1% Nasal Spray, SUDAFED® Congestion Relief 0.1% Nasal Spray contain xylometazoline hydrochloride. 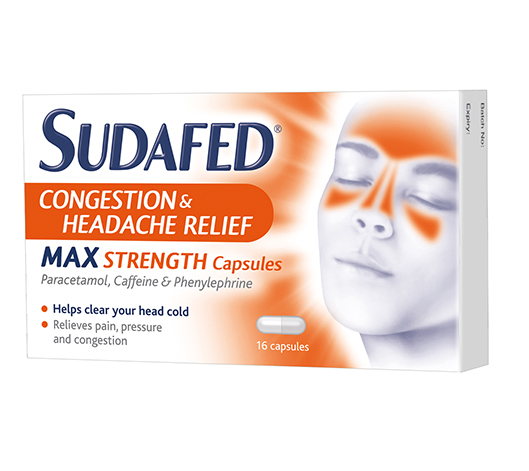 SUDAFED® Congestion & Headache Relief Max Strength Capsules, SUDAFED® Congestion & Headache Relief Day & Night Capsules, SUDAFED® Sinus Max Strength, SUDAFED® Mucus Relief Triple Action Cold & Flu Tablets and SUDAFED® Mucus Relief Day & Night Capsules contain paracetamol & phenylephrine, SUDAFED® Sinus Pressure & Pain Tablets contain pseudoephedrine & ibuprofen, BENADRYL® Allergy Relief contains acrivastine(antihistamine). This site is published by Johnson & Johnson Limited which is solely responsible for its contents.